A little over a year ago, we got together with a group of friends and constructed our first Warre Bee Hive. It was an interesting exercise in communication with Electrical Engineers, IT specialists, Project Managers and noisy children thrown in for fun. It was an awesome day where some creating swear words were unearthed and curious children learnt how to apply wood glue without sticking things to themselves. 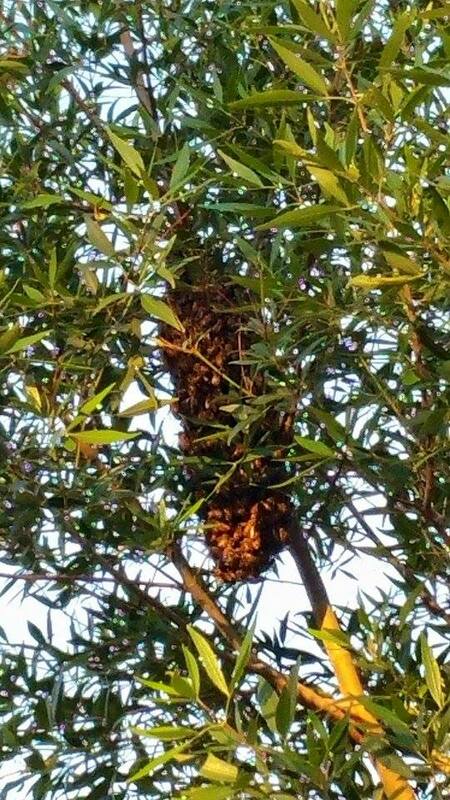 Last night, we got a message from a friend saying that they had a swarm in their front garden … Awesome! was our first reaction. “Can we come over and collect it?” was our second. With a maniacal giggle upon hearing “Yeah sure, come on over.”, we started prepping our hive. Wild bee swarm, swarming in Christmas Bush shrub. We pulled apart all our boxes and re-waxed our frames, re-stuffed the mattress and checked that all the potential wasp entrances were secured. 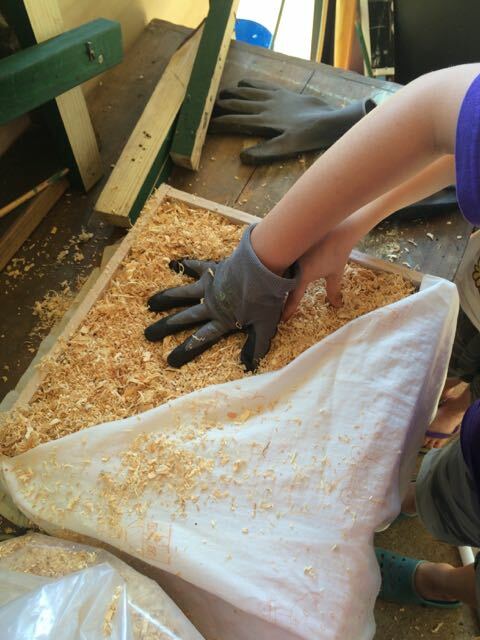 Packing the mattress of a Warre Bee Hive using saw dust. Oh well … till the next time we get informed about a swarm. But since we had the hive apart, we decided to give it a nice new coat of paint. At least it will weather a few more seasons now. 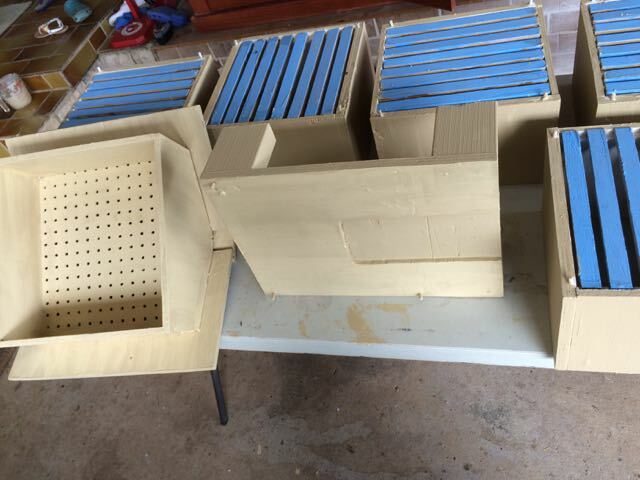 Warre bee hive drying after applying new coat of paint. And yes, the kids thought that blue frames would make all the difference to bees looking for a new home – because decor is important! LOL! Got a swarm you want to re-home? Let us know and we should be able to help if we are nearby. < Previous Foxes and the devastation they can cause. Next > Kids are capable of the most amazing things.